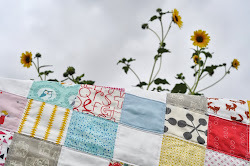 This quilt, made with long strips of lovely Kona solids, was inspired by a mixture of the Gee's Bend quilters, and a page from Dr. Seuess's "Oh, the Places You'll Go". Pull out your copy, and have a flip through to see if you can find which page. 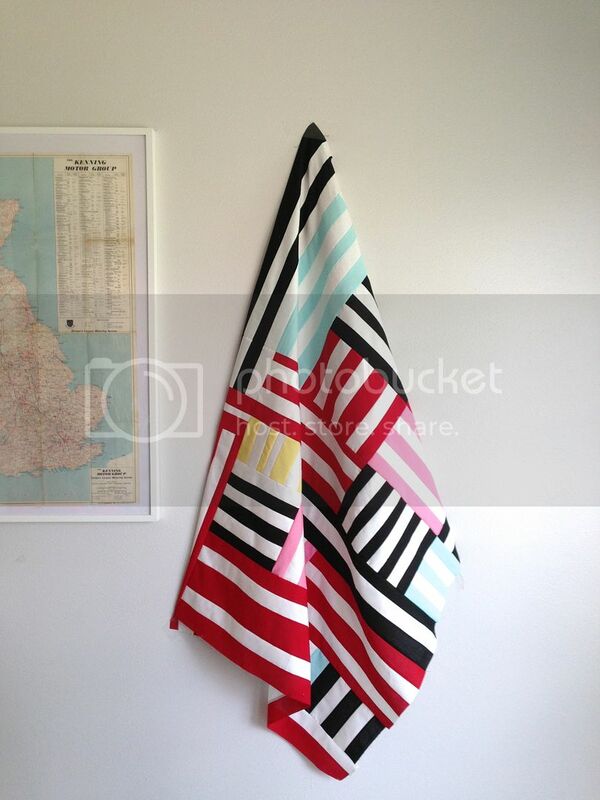 Hint: it's stripey! Penny loves it. High-contrast and all that. It makes me think of summers at the English seaside, and walks along the promenade lined with beach-huts. So far, just the top is done, but I'm imagining row upon row of close, straight lines quilted along the stripes. 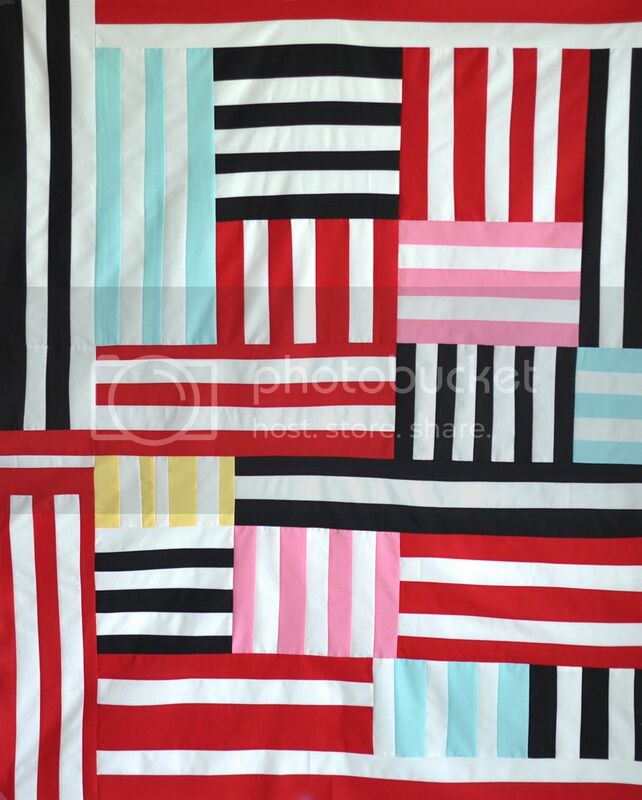 This is such a fabulous quilt! 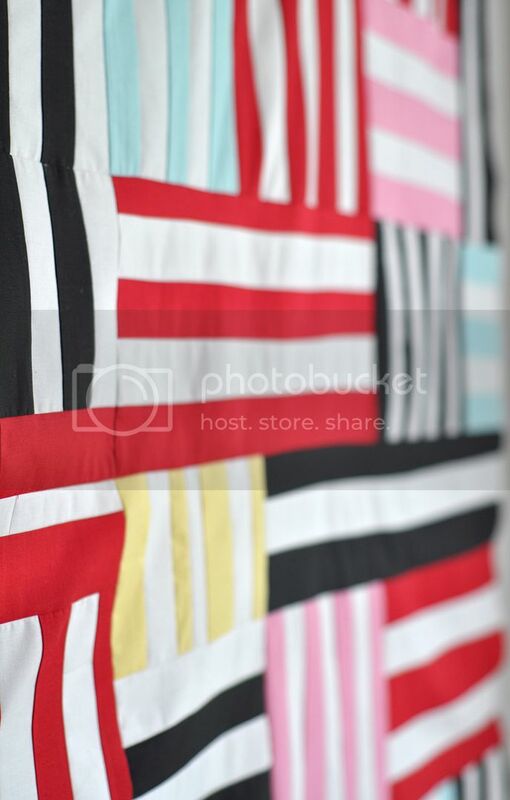 Love the clear, bright vibe to this quilt. 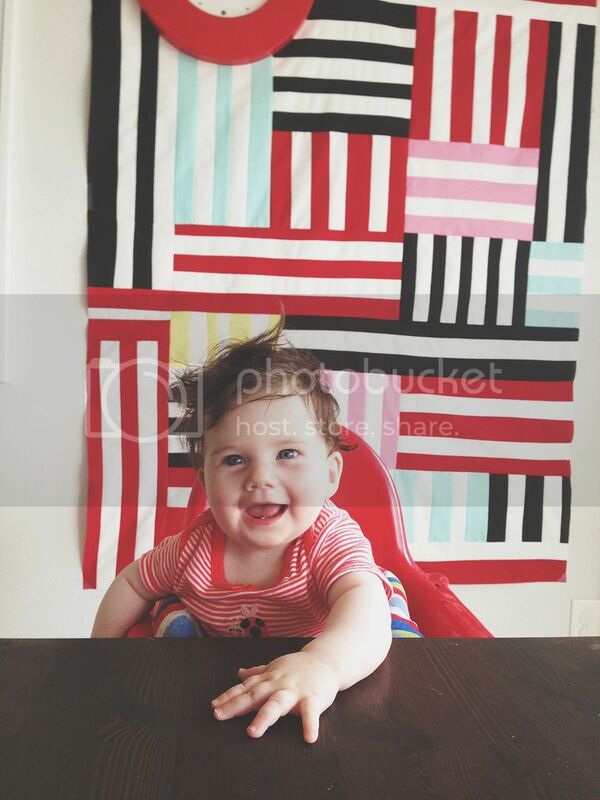 LOVE the stripes. Very nice. I love it - and your blog name! 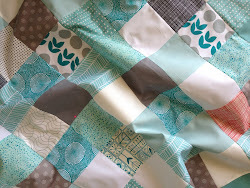 If you look at Gee's bend quilt some of them have quilting in these interesting arcs which might be fun on this too - I think it will be a stunner no matter how you finish it! Yes please, yes please, yes please! It's just awesome. p.s. my son just found the right page in the book! I love love love this. The stripes, the color/white, the different sizes and layout. Just wonderful and beautiful.